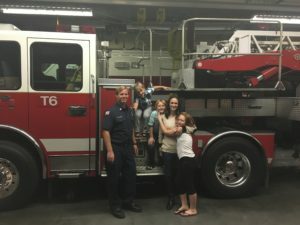 What Holds the Fire Service Back? What a great question! When I was first asked this question, many things came into my mind. Some thoughts included budget shortfalls, politics, tradition, generation gaps, labor/union conflict, equipment, safety, and health. All of these, and many more, can be seen as holding us back. As I looked at each of these, I saw an over arching theme. Pride! Wait, how can Pride be the number one issue holding the fire service back? We are, and should be, very proud of the important work we do in our communities. Our predecessors worked very hard to get where we are today, and we continue to improve every chance we get. Many of our mission statements include the word proud or pride. With as many good things that come from pride, there are at least as many, if not more, bad things. First, let’s look at a couple of definitions of Pride from Oxford Living Dictionaries. The first definition is positive, uplifting, and something to be well, “Proud” of. To strive to do the best job possible is something that the fire service as a whole embraces. The second definition is the exact opposite though. This is the area of “Pride” where we need to be careful. Where is Negative Pride Found? If we take an honest look at Pride, we can find it everywhere. Top to bottom, bottom to top, inside and outside, side to side, we find Pride everywhere. Though talking to a religious group, Ezra Taft Benson had an interesting vision of Pride that can be applied to the fire service. Can Pride be found at the top of our organizations? Absolutely! We have far too many examples of Chief Officers thinking they alone know what is best for an organization. They move forward without taking input from any level of the organization. These decisions are often made with little to no data or research, often gut feelings, opinions, and sadly at times for revenge. We also find many Company Officers, Captains and Lieutenants, who operate in these same vacuums. Because we may have a bugle or two or three or five or ten does not mean we are all knowing and right. Be honest, how often do we look up the ranks and think, “What are these clowns thinking?” “If I was in their shoes, I wouldn’t do it that way.” “Do they really not care about this?” “It’s not their money, why won’t they buy us _____?” “How could they have forgotten where they came from?” “These people are idiots!” Thoughts like these are examples of pride. We often do not have the “big picture.” This statement is not a copout. If we don’t see the big picture, those above us should be doing a better job of helping us see the big picture. We also need to do a better job by respectfully asking “why.” When we attack those above or below, we will never be able to see the “big picture.” Keep in mind, when we have negative and attacking attitudes, where we feel, “I am right and you are wrong” it is much less likely the other party will listen. Does time on the job necessarily equate to experience? Yes, but also no. It is difficult to quantify this. Of course over a career, one would expect to gain a lot of knowledge by doing. There are many different ways to do many things. Doing something one way for 20 or 30 years, does not give us more experience than doing something 20 or 30 different ways over the course of a year. While those who came before us should be respected, those who have not been here as long shouldn’t be discounted. Even though I have been in the fire service for 22 years, I have not responded to every type of call imaginable. The rookie sitting in the back seat may have run a call this morning that would give me input on how to handle a call I’ve never been on. Does that mean the rookie is in charge? No, it means I am humble enough to listen to good input no matter where it comes from. An “experienced” firefighter should be one of the best tools for a new captain. Unfortunately, some “experienced” firefighters can be difficult for some new captains. There are often very good reasons, in the mind of the firefighter, why the experienced firefighter should be difficult. The new leadership may have a chip on their shoulder and be rank heavy, “Prideful.” Other times, there is jealousy because the experienced firefighter feels they should be in that seat. Whatever the reason, pride gets in the way of us moving forward and being the best crew we can be. Both the new captain and the experienced firefighter can stand to learn many things from each other. Education is a funny thing. We encourage our kids to get an education so, “they will be better off than I am.” We value education, but if we don’t have it and someone else does, we label that person as “book smart.” We say, “these new captains don’t have enough experience,” and we ridicule them for “just having the degree” or “just being a good test taker.” Someone who has a degree may think they have it all figured out because they can quote a philosopher. Both sides are wrong. We need to encourage education and realize that it is one part of a whole person, firefighter, fire officer, or fire chief. We encounter many groups from within and without the fire service. Some groups from within include labor groups and specialties such as hazmat, paramedic, and USAR. We also see groups like fire operations, community risk reduction, fire prevention, emergency preparedness, and fire administration. From without, there are citizens groups, businesses, watchdogs, political action committees, media, other fire departments, and politicians to name just a few. All of these groups, both from within and without, see things from a very limited scope. They may only pay attention to what their group emphasizes. This marginalizes the other groups and when decisions need to be made, we may not come up with the best overall solution to issues by only focusing on one group. Unfortunately, we often see this rift between fire operations and community risk reduction. Fire operations pridefully sees themselves as the most important group. After all, most of the budget is for fire operations, so they must be right! Community Risk Reduction can be just as prideful thinking, “If I just had fire operations budget, we wouldn’t need fire operations.” Both positions come from pride. We need to reduce as many risks to our community but we will never eliminate all of them. Both fire operations and community risk reduction are needed and should be supported by each other. Even when looking at the fire department itself, we can see detrimental pride. When departments are part of city, county, state, or other government entities, we often isolate ourselves from the other groups under that government entity. As an example, a municipal department that doesn’t work well with the other departments in the city such as police, parks, human resources, finance, utilities, public works, etc. will not find itself with many allies around budget time. A department that does not stay within their budget constraints, does not make friends at the table either. That extra money needs to come from somewhere and it is often at the expense of other groups. Make Pride the #1 Issue Moving you and your Department Forward not Back! Pride in our crew, department, community, and profession is a noble thing. This Pride encourages us to move forward, always improving. We owe it to our communities to be the best we can be with the resources we have been given. When an organization takes pride in communicating its values and mission up and down the organization, that is something to be prideful of. When we think we know everything and our opinion is more important than everyone else’s, it is detrimental to our organization. A word of caution. When we hear ourselves say, “I think” we need to be very carful. It is good to have ideas, but it is better to listen to all ideas. May we all have pride in doing the best we can, but not by thinking we know everything. I believe this is an original quote, but if I am wrong, please let me know so I can accurately attribute it. Brent Faulkner MAM, FO is the CEO of Virtual CRR Inc.. He has 22 years of experience in the fire service. During this time, he has responded to numerous emergency situations including structure fires, wildland fires, hazardous materials responses, emergency medical situations, and numerous types of rescues. In addition, he has served on a Type 1 Hazardous Materials Response Team for 16 years. Brent had a defining moment in his career which, as a result, lead him to create Virtual CRR and his passion for Community Risk Reduction. He lead a team in critical infrastructure protection at a recognized Department of Homeland Security (DHS) Terrorism Fusion Center. This team was responsible for increasing the safety of critical infrastructure as it relates to terrorism, general security, and natural disasters. He has a master’s degree in management, a bachelor’s degree in occupational studies, an associate’s degree in hazardous materials response, and another in fire science.